Welcome to Revolve Student Ministry! God is love. Jesus is God. So, Jesus is love. He taught us that the most important things in life are built on love. For students at DBC, it all revolves around love. We create environments where teens can connect with their Creator at the heart level. We do this by building fun, high-energy events and activities that allow students to have fun while their understanding of who God is deepens. Students will also find a loving and accepting environment with other teens that follow Jesus, too. Our strategy is built around caring adults influencing the lives of teenagers to help them grow. We also provide opportunities for students to use their God-given gifts to serve those in need and to lead younger children. Who is Going to Toronto? This year Dunwoody Baptist Church and Chattahoochee Baptist Church are teaming up for a joint mission trip to Toronto. Scott Rourk, our mission partner in Toronto during the past 8 years, recently relocated to the Atlanta area as senior pastor of Chattahoochee Baptist Church. Obtain the DBC Youth Mission Trip Application available from Todd Buechter or Heather Morris. Turn in your completed application to Heather Morris along with a non-refundable $100 deposit check made payable to DBC, no later than Tuesday, October 15, 2018. Attend the mandatory DBC Youth Missions retreat February 15-16, 2019. In addition to the retreat, we will have monthly training sessions between the retreat and the trip to cover various topics in preparation for our trip. $950 per person covers transportation, lodging and food. Can a Middle Schooler participate in this trip? Middle Schoolers are welcome to participate if accompanied by a parent or guardian. Same as previous years, we may have to take a bus. Every effort will be made to obtain low-cost airfare to Buffalo or Detroit, and take a coach bus from one of those cities to Toronto. If we are able to fly to Buffalo, we will most likely visit Niagara Falls during our trip. Do I need to have any special shots or medication for this trip? No additional shots are required. What will we be doing while we are there? The UN declares Toronto as the most culturally diverse city in the world, with over 140 languages spoken and people groups gathering from all over the world. We will do a variety of mission activities to support the outreach efforts of our missionary partner, Rendezvous Church, along with church plants in areas with heavy immigrant populations. Our focus is on relationships. We will do multiple bike repair clinics and other outreach events, during which we engage people in spiritual conversations. We have follow-up activities to those clinics as well. Toronto is normally very pleasant in early June, with average high temperatures in the mid 70’s and average low temperatures in the upper 50’s. On one of our trips, we experienced record high temperatures in the upper 90’s, but this is rare. A light jacket is recommended. Do I need a VISA or a passport? You will need a current passport that will not expire within at least 6 months of our return date. A VISA is not required. We stay in a mid-level college dormitory at The University of Toronto’s downtown campus, in a very nice area convenient to public transportation. We usually have an entire floor to ourselves, with access to a kitchen, a small meeting room and laundry facilities. Adults have their own rooms and youth might share rooms, depending on the number of people we have on the trip. Each room has a bed, desk, dresser and closet. Very much like what we have here at home. We typically eat breakfast at the dorm and pack our lunches for the day. Dinner takes a variety of forms including a “Dinner Roulette” one evening where adults and youth are chosen at random to go out for a special meal. I’ve heard about “family groups.” What are they? We divide the team into family groups typically consisting of 2 adults and 3-4 students. Family groups will often travel and work together during the trip. A parent will not be in the same family group with his/her student. Please contact Whalen Kuller at 678.559.7127 for questions specific to Toronto. Please contact either Heather Morris at 770.280.1251 or Todd Buechter at .678.640.5651 for questions related to overall trip planning. 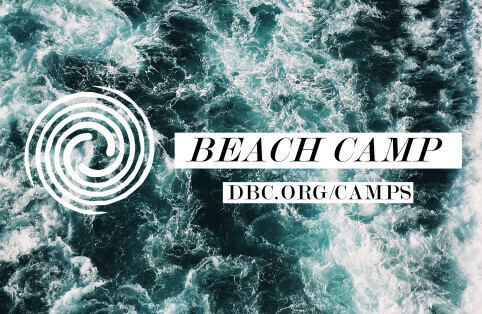 Obtain the DBC Youth Mission Trip Application available from Todd Buechter or Heather Morris. 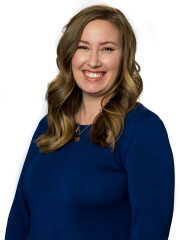 Turn in your completed application to Heather Morris along with a $100 non-refundable deposit check made payable to DBC no later than Sunday, November 11, 2018. Attend the DBC Youth Missions Training weekend February 15-16, 2019. In addition to the retreat, we will have monthly training sessions between the retreat and the trip to cover various topics in preparation for our trip. We travel on a non-stop flight from Atlanta to Guatemala City. The flight is 3 ½ hours. We are met at the airport by our hosts from Iglesia del Camino, the church we partner with. They will take us to Antigua, where we will be based for the week. Do I need to have any special immunizations or medication for this trip? None are required. However, highly recommend you be up to date on your tetanus shot. No special meds are needed (i.e. malaria, etc.). We work alongside Iglesia del Camino, a local church in Antigua and their partner foundation, Centros de Suenos, joining them in the mission work they are doing in the very poor areas surrounding Antigua. Activities may include house building, water filter distributions, home visits, children’s ministry, assist in malnutrition centers and youth programs. Antigua is nick-named the “land of the eternal Spring”. This name is completely accurate. Temperatures range from 55 at night to 75 during the day. We will be there during rainy season, so be prepared for rain. Yes, you will need a current passport that will not expire within at least 6 months of our return date. No, it is a plus, but not at all necessary. We will have translators with us everywhere we go. In fact, some of the people we work with speak one of the 23 Mayan languages rather than Spanish. We stay in a hotel directly across the street from the church. The rooms are large, clean and well kept. There is hot water for showers and linens are provided. Because the temperature there is always moderate, there is no air conditioning or heaters in the rooms. Some find it noisy at night, so feel free to bring ear plugs if you are a light sleeper. We eat breakfast every morning at the hotel. They always offer two choices each morning such as French toast, pancakes, eggs, fruit, yogurt and coffee. For lunch, we have a sack lunch including sandwich, chips, fruit, cookies. Dinners are cooked and hosted by the church volunteers each night – American food like we are used to. We will eat out for a couple of meals. All meals are covered in your total cost for the trip. All food that is provided through the church is safe for you to eat. Do NOT buy any food from street vendors. Please contact Ellen Powell at 770.289.0410 for questions specific to Guatemala. Please contact either Heather Morris at 770.280.1251 or Todd Buechter at 678.640.5651 for questions related to overall trip planning. $950 (including airfare). We will give team members a discount (equal to the cost of airfare) if they elect to take the church bus to Miami in lieu of flying. We have reserved a church bus for the week and this will make it easier for our team to travel while we are there. Miami is about a 15-hour drive from Atlanta. We are exploring airfare options at this point. The flight is about 1 ½ hours. Who will we be working with while we are there? We work alongside Miami Church. Miami Church has been in existence for 3 years and is pastored by Greg Ingram, who was an intern for Mark Paul at his church in Conyers, GA. Greg has been on staff at Willow Creek Community Church in Chicago and Max Lucado’s church in San Antonio. The church is multi-national and has grown very well. Current average attendance at their church on Sundays is 100. The church meets on the 20th floor of a Courtyard Marriott Hotel in Coconut Grove, a very nice suburb just outside of Miami. There is little to no evangelical presence in Coconut Grove. Almost ½ of the church are not currently believers. What will we do while we are there? The church has done a nice job attracting young people and empty nesters, but they need more families to fuel future growth. We will be asked to do outreach activities designed to bring in families. Our main activity will be conducting a VBS. We will also assist with other church outreach activities as well. Is the community of Coconut Grove safe? Coconut Grove is an affluent community, similar to Dunwoody. Our activities will be near the church. The church has ministry activities in nearby low income areas, and it is possible we may participate in some of those activities. Hot and humid! Also prepare for rain. No, it is a plus, but not at all necessary. There is a very large Hispanic community in Miami. We are planning to stay at a suite-style hotel near Miami Church, or by the airport. We will also be looking into accommodations at The University of Miami. We eat breakfast every morning at the hotel. Our hotel will have refrigerators so we will try to pack our lunches each day. There are plenty of very good ethnic restaurants in the local area – Cuban, etc. We can be adventurous! Additional questions? Please email Todd Buechter or call 678.640.5651. This music and performance program has been created specifically for students in grades 6-8. Students in this program assist our Kid's Choir in preparing for two musical performances. The students will help with teaching the songs and motions. In order to participate, students need to fill out a covenant and begin weekly participation on Wednesday, September 7 at 6 pm in A-203. JAM is a leadership opportunity for middle school students. Teams of five students staff this fun worship environment in the Royal Rally Room (A-Building) for grades K-2 during the 11 am worship service. Each team of five serves on an every-other-month basis. Students lead songs, games, run the tech booth and assist with story time. Space is limited and training is required. Please email Heather Morris for more information on any of the opportunities listed.